for $349,900 with 2 bedrooms and 2 full baths. 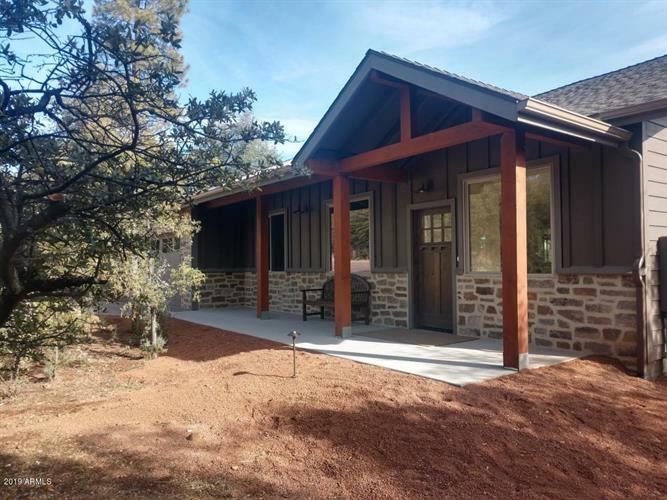 This 1,365 square foot home was built in 2018 on a lot size of 11761.00 Sqft. Beautiful one level 2bdrm plus office. Custom home features one level not steps. European Oak flooring, knotty alder doors and trim, quality cabinetry throughout, granite counter tops, large windows, 3 covered patios, walk-in showers with 5 heads, custom tile work, soft colors, paver drive way and real stone accents, wood beams & posts, landscaped with low voltage lighting, dripped for low maintenance. Great central location, perfect full time or vacation home. Seller is licensed associate real estate broker.